The Burnley goalkeeper has made three international appearances but will there be any more? Following an impressive 2018 World Cup display that saw them defy expectations and reach the semi-finals, England's transition under Gareth Southgate continues with UEFA Nations League fixtures against Croatia and Spain over the coming days. Yet there is one man not in the squad for those matches who can feel unlucky and aggrieved that he is not part of the renaissance. Burnley's goalkeeper Tom Heaton was in the peak of his career. Named Burnley's Players' Player of the Year in 2014-15, he took the Clarets' captaincy the following season with 20 clean sheets to help Burnley climb back into the Premier League and earning the shot-stopper a place in the Championship PFA Team of the Year. Fresh from signing a new contract, the Manchester United Youth Academy product went on to make 141 saves that season, more than any other Premier League goalkeeper, helping the Clarets to remain in the top-flight. Heaton had been on the fringes of the England squad but with regular goalkeeper Joe Hart making a string of high-profile mistakes, there was talk of Heaton not only becoming a feature of the squad but perhaps even the nations' number one. Fraser Forster was the only Englishman to keep more clean sheets in 2016-17. Heaton made his third and most recent England appearance that summer and would have gone into the 2017-18 full of confidence. A season building into the World Cup, this was his chance to stake a claim for a place in the squad, and possibly a number one spot, against the likes of Jordan Pickford and Jack Butland - there wasn't much to choose between all three of them at that point in their careers. Yet just four games into the campaign, Heaton landed awkwardly on his shoulder after claiming a cross against Crystal Palace. The injury was a dislocation that would keep him sidelined beyond Christmas - up stepped Nick Pope. There were concerns over Pope's ability to don the gloves on a regular basis for Burnley but the young goalkeeper took the challenge on with no fear. In fact, he was that good that Heaton was unable to dislodge him from the starting eleven on his return and failed to make another appearance again that season - missing out on a World Cup spot to his teammate. However, a new season with added games after Burnley qualified for the Europa League preliminary rounds offered another chance for Heaton to recover his number one spot that had been lost through injury rather than form. Could he also break back into the England squad ahead of the UEFA Nations League? Drawing Aberdeen in the first qualification match, Heaton was expected to start, only to pick up a calf injury before the contest. Pope was drafted back in but ironically dislocated his shoulder midway through the first-half, leaving Burnley desperately searching for a new goalkeeper as cover. Yet Dyche had other ideas and Heaton has since played just three games this season - two Europa League qualifiers against Olympiacos and an EFL Cup contest against Burton Albion. Just over a year ago, Heaton found himself hunting the England number one spot. But two unfortunate and untimely injuries have not only left him out of favour with his nation but also second, possibly third choice at his club through a spell of pure bad luck. 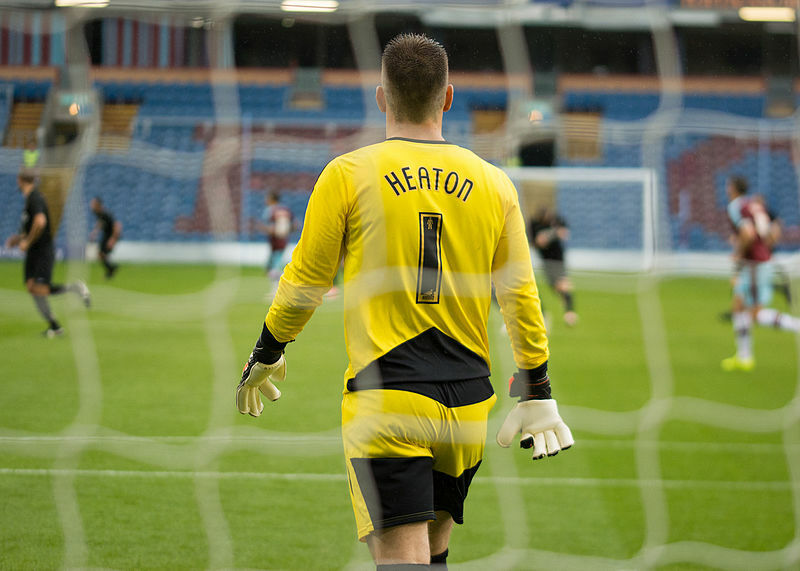 At 32, Heaton still has miles on the clock but not many. The question is, does he stay and fight for his place at the club he has been with for five years or does he move to pastures new in one last bid for an England selection? With Southgate preferring youth over age, time is running out for the unfortunate shot-stopper.